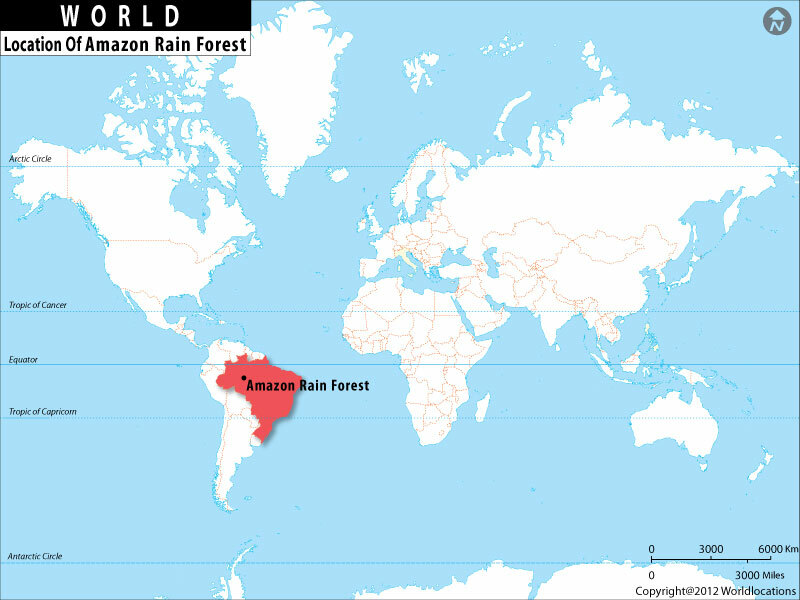 Map showing Where is Amazon Rainforest, Brazil located on the World Map. The Amazon rainforest is the largest tropical rainforest in the world. The Amazon Rainforest is located in the upper section of Brazil south of the Equator in South America.